Kebbi State University Of Science and Technology Aliero, KSUSTA Resumption Date for Continuation of First and Second Semester Academic Activities for 2018/2019 Academic Session. 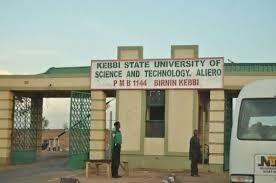 Following the Suspension of the ASUU Nation Strike action the Management of Kebbi State University Of Science and Technology Aliero, KSUSTA has announced the resumption of academic activities for 2018/2019 academic session. Fresh and Returning Students of the institution are expected to resume and complete their registration exercise from Monday 11th February, 2019 to Friday 1st March, 2019. Normal Lectures commences on Monday 4th March, 2019. A detailed academic calendar has also been made available to the public for proper guidelines.